DC Comics’ hit digital first series Batman ’66 based on the iconic 1966 Batman television series is moving toward its thirtieth issue in the coming months. Creator Jeff Parker and a rotating cast of artists have adapted the television versions of notable characters like Batman, Robin, Batgirl, Joker, Penguin, Catwoman (both Julie Newmar and Eartha Kitt versions), Riddler, Mr. 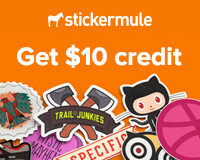 Freeze, and Mad Hatter as well as television original characters like King Tut, Egghead, Louie the Lilac, Marsha: Queen of Diamonds, Siren, and Shame in that time. Various other projects would also emerge including the lost script of Harlan Ellison to bring Two-Face to the television series appearing on the printed page and crossovers came up such as a sequel to the Green Hornet television special episodes and an upcoming series with Britain’s The Avengers (with an expressed interest by the creator of Wonder Woman ’77 to also crossover with Batman). 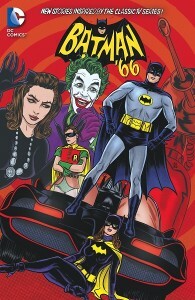 However, the series hasn’t stopped there and has also seen the likes of Poison Ivy, Scarecrow, Harley Quinn, Batwoman, Bane, Hugo Strange, Clayface (a transformed False Face), Killer Croc, Solomon Grundy (who appeared in the Batman spin-off Legends of the Superheroes), and Lord Death Man appear in the Batman ’66 series. This, of course, poses the question of what villains could emerge next for the first time in the digital first series. 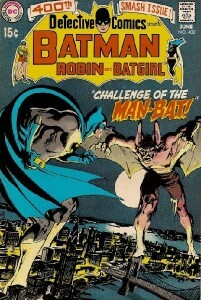 In 1966, to capitalize on the success of Batman, the character was spread across various series at DC Comics such as taking center stage in The Brave and the Bold and Justice League of America. Batman would also break out of his more traditional surroundings including returning to newspaper strips under the direction of writer Whitney Ellsworth who emulated the television series. Characters like Joker (with his new original moll Laughing Girl), Penguin, and Catwoman were featured, Poison Ivy emerged, and several new original characters like Jolly Roger, Blue Max, and Pretty Boy Floy made their premier. One such original character was Little Napoleon, a diminutive mastermind with such monikers as the Field Marshall of Crime and the Bogus Bonaparte whose character heralds back in some manner to King Tut (so far as even having a historically-inspired moll in Josephine, a nod to the historic Napoleon’s wife Josephine de Beauharnais). 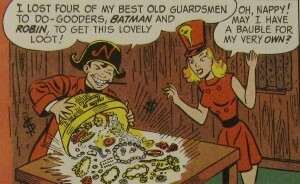 While certainly the character had no real lasting impact, his presence confined to the comic strip (though separate Little Napoleons would appear in the pages of Superman and Supergirl, the former in 1964 and latter 1973), it is a character that rather easily could fit well into the context of Batman ’66. A pirate-themed criminal, Captain Stingaree was one of four brothers where he turned to crime as his siblings came together as private investigators. His aversion to his brothers creeping into his paranoia, the would-be pirate came to believe his siblings to secretly adventure collectively as Batman and he wanted to reveal that secret to the world by catching them while in costume. 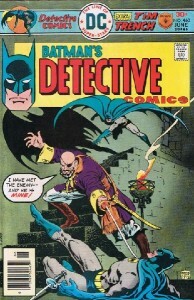 Tangling with Stingaree, Batman set a trap by having the brothers dress as the Caped Crusader which eventually paid off. 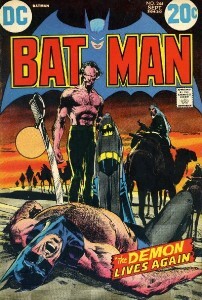 The character largely became a reoccurring crowd villain who fought Batman en masse. An earlier pirate-themed Batman villain emerged in the 1966 newspaper dailies with Jolly Roger and his moll Thalia Morgan. Among the various gimmicks present for the original characters that were created for television in Batman, a pirate one would work quite well (so much so pirate henchmen were used by the United Underworld in the show’s film). Introduced trying to form an alliance with Poison Ivy and Catwoman employing her mystical abilities, Madame Zodiac joined forces with the villainesses only to fall to the combined might of Batgirl, Huntress, and Batwoman. Zodiac would abandon her cohorts only to finally be captured by Batgirl. She later returned to align with Dr. Zodiac, a foe of Superman and Batman, where she uncovered Batman’s secret identity and summoned an elder god to possess the Dark Knight. The combined might of the World’s Finest and Zatanna would overcome the elder god while both Zodiacs seemingly perished. However, she would later turn up hired by the Riddler for a job. An earlier Madame Zodiac appeared in the Batman newspaper dailies as Flo Floy, sister of the criminal Pretty Boy Floy, manipulating billionaire oil baron Tyrone Koom into turning his business over to her sibling using her flimflam astrological abilities. Famously, the Batman television series had a three-part special celebrating its one year anniversary on the air teaming the Joker and the Penguin in crimes related to the zodiac. 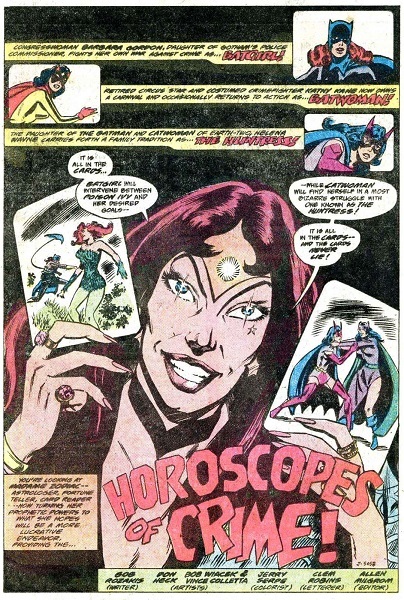 A calling card of the Batman series was its ample use of femme fatales and Zodiac’s use of astrology and magic would make her a unique addition to the Batman ’66 cast of crooks (as “magic” in the series has largely revolved around the like of Zelda the Great’s escape acts and Aunt Hilda’s potions). 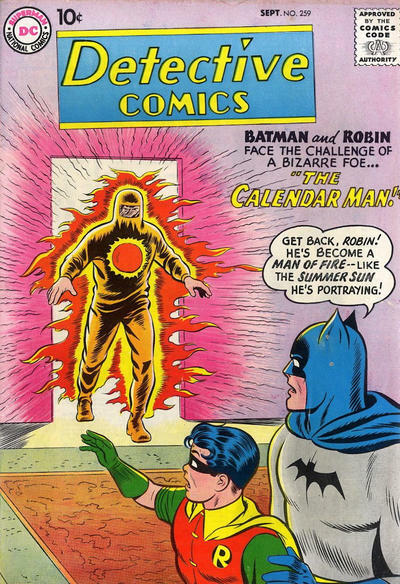 Seemingly tailor made for the Batman television series, Calendar Man first appeared in 1958 performing crimes based around the season of the year and wouldn’t be seen again for over two decades. In his return, the criminal patterned his crimes around days of the week before disappearing for another six years where he adopted his more recognizable “calendar cape” costume and is hired to kill Batman only to subsequently become a crowd villain the following year. It was perhaps for this reason the character would join Killer Moth’s Misfits group of low-tier Gotham criminals alongside Catman and Chancer. Following their defeat, Calendar Man would next join the Time Foes with Clock King, Chronos, and Time Commander whom he remained with for a time before returning to being a crowd villain (followed with infrequent appearances in various areas). The Calendar Man’s unique interest in time draws parallels to the Clock King but is distinctly different enough that bringing him to the world of Batman ’66 is virtually a no-brainer as from his very beginning, he falls quite well into many of the tropes employed in the original television series. Adopted daughter of the wealthy Charles Knight, Natalia was an astronomer who one night was struck with a radioactive beam that altered the pigment of her skin. Becoming totally white, her skin became significantly sensitive to light such that she needed to avoid the light of day. When her father died, Natalia discovered her lifestyle was funded by crime and in order to maintain her accustomed living situation, she herself would need to become a criminal. Taking the name Nocturna the Mistress of the Night, she employed a hot air balloon to perform burglaries drawing the attention of Batman. 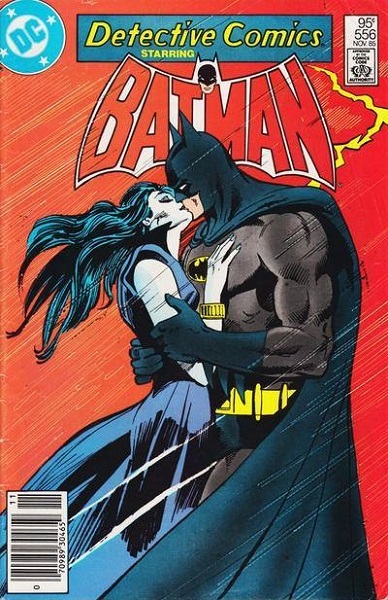 The two would fall in love and Nocturna became a surrogate mother to Jason Todd (Batman’s Robin at the time). Bruce Wayne and Natalia agreed to wed only for the woman’s adopted brother (and her former lover) to find and murder her. A new version of Nocturna was introduced following Crisis on Infinite Earths who secretes a pheromone that makes people emotional when they smell her. Again, Batman was known for its femme fatales and the addition of one that had a mutual attraction to the Caped Crusader coupled with an odd condition (allergy to light) and curious modus operandi (hot air balloon) could have Nocturna fit fairly nicely into that show’s world. 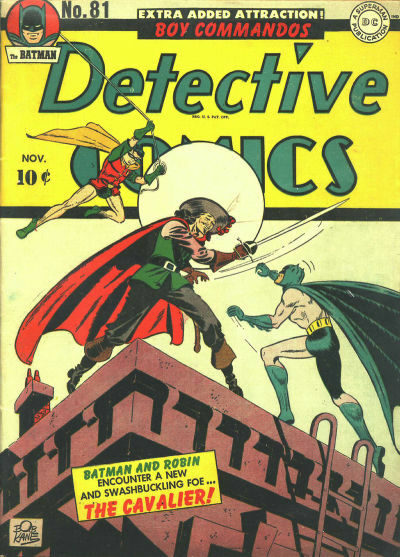 A thief patterning himself after the Musketeers of old, the Cavalier become a sparring partner of Batman four times over the span of approximately a year before being brought to justice (where he subsequently retired from crime). About three decades later, an Earth-1 version of the character emerged troubling Wonder Woman before teaming with the Killer Moth to face Batgirl and Batwoman. 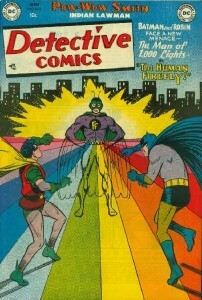 Becoming a crowd villain (beside another team-up with Killer Moth against Batgirl and Robin), the character was largely abandoned outside of meetings of various villains before being re-imagined as a closeted homosexual character in a secret relationship with Captain Stingaree blackmailed by Black Lightning into being an informant. Certainly the swashbuckling aspect of the Cavalier fits well into the aesthetic of other villains in Batman like the Archer and the Minstrel as the various tales of the character in the comics could provide ample soil for story concepts that not only make the Cavalier a good fit for Batman ’66 but one with a good supply of adaptable material. A lighting technician in the theater scene, Garfield Lynns would lose his job forcing him into a life of crime. Assembling some men, Lynns used his knowledge of lighting to imitate a fire on stage at a theater which distracted patrons from noticing their valuables being swiped by his gang. Batman and Robin would arrive leading to Lynns making an escape with a firefly distracting the Dynamic Duo thinking its light was the bud of Lynns’ cigarette. Inspired by this, Lynns became the Firefly employing a belt that produced a sequence of lights that blind and befuddle those caught by its rays. The Firefly would be brought to justice but returned to face the likes of the Creeper and the Outsiders before the Crisis on Infinite Earths re-imagined the character as a pyromaniac. Very much in the vein of a Mad Hatter, Firefly offers a unique bit of technology that in Batman ’66 could be played up as a wondrous apparatus that both identifies the character immediately and forces the Caped Crusader to invent something of his own creation to combat said device. An unwilling antagonist in the vein of a classic werewolf, zoologist Kirk Langstrom was developing a serum to enhance human hearing employing an extract derived from bat glands. Testing this concoction on himself, Langstrom mutated into a humanoid bat referred to as Man-Bat that, initially, could control himself (actually assisting Batman) until giving into his change after Batman confronted him about stealing materials to attempt to cure himself. Instinctively, Man-Bat came upon the Batcave where Batman defeated him and started work on an antidote. Man-Bat refused the antidote, even when Batman brought his fiancee Francine Lee to see him. Instead, Man-Bat would escape and Francine gave herself the serum becoming She-Bat in order to be with him. Batman would hunt the pair down and force them to take the antidote. 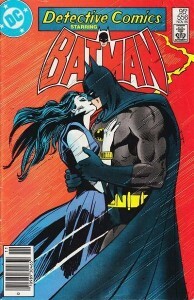 Kirk and Francine would seemingly take turns relapsing into their bat forms as Kirk eventually became a hero as Man-Bat (leading to him getting his own shortlived series and back-up stories in Detective Comics and Batman Family) until an incident involving Batman and the Langstroms’ daughter Rebecca makes Kirk lose control of his bestial self. If there’s something to be learned from Batman ’66, it’s that there’s no fear to tackle some of Batman’s more monstrous characters like Solomon Grundy, Clayface, and Killer Croc. So, considering Man-Bat as one of the more premiere monstrous foes of Batman, it’s likely only a matter of time before the character appears. 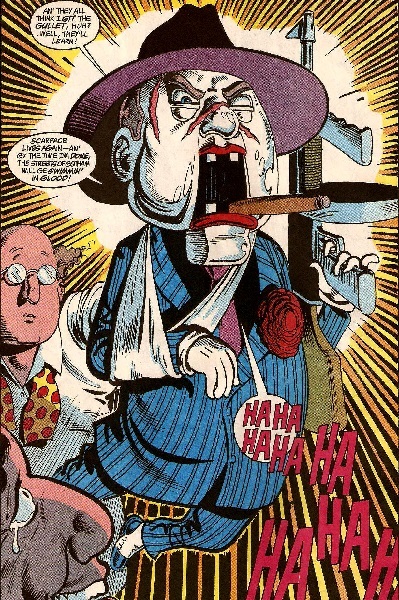 Arguably one of the most popular additions to the rogues gallery of Batman in the late ’80s/early ’90s, Arnold Wesker burst on the scene as the Ventriloquist, handler for the mysterious “dummy” Scarface, joined by his oversized henchman Rhino as their group pushed the drug Fever on the populace of Gotham. After Batman received a dose of Fever, it began a series of trials the Dark Knight would face with drugs in his city and its affects on him. Scarface would return to seek revenge against the Street Demonz after Wesker is released from prison and would try to takeover the drug trade operated by Marty Vetch (while Wesker consistently tried to abandon Scarface and his life of crime). From there, the villain would breakout to face a myriad of Batman’s allies like Robin, Creeper, Nightwing, and the Birds of Prey. In the late 1940s, Howdy Doody was a marionette and national phenomenon whose popularity died out in 1960. The character’s show would be replaced by the up-and-coming Shari Lewis and her puppets including Lamb Chop and, in 1969, Jim Henson would bring his puppetry to Sesame Street displaying his Muppets to the world (not to mention the work of Paul Winchell and Sid and Marty Krofft around these years). Suffice to say, these works all offer a buffet of possibilities for Scarface and his Ventriloquist as their past with drugs could perhaps be intermingled into a time of the rampant use of psychedelic drugs for Batman ’66. Honorable mentions: Catman, Maxie Zeus, Black Mask, Sterling Silversmith, Tiger Shark, Gentleman Ghost, and Count Vertigo.